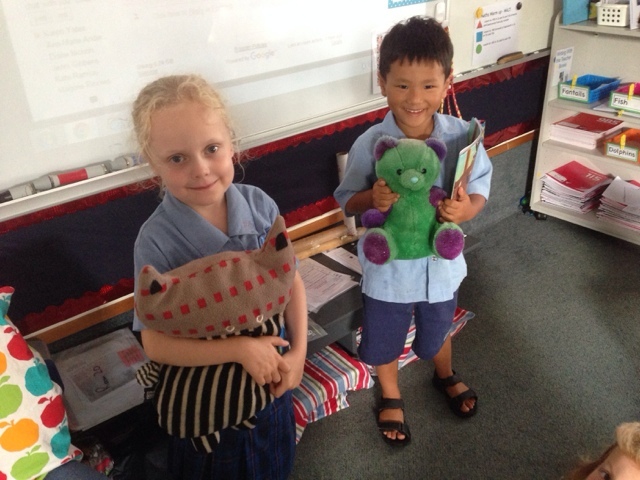 Room 20 @Sunnyhills: Kingi and Rocky making new friends in R20! Special awards for special children! Joshua and Jessica take our mascots home for a sleepover and return the following day. I wonder what they will get up to? How exciting Joshua and Jessica that you get to take the mascots home for tonight. I wonder if you will read them a bed time story? Joshua was happy to stay with Kingi. Jessica's mum: We loved having Rocky to stay! He was so well behaved. We hope to see him again some time!